Did you enjoy the shows yesterday on Create and Craft? There were some great demo's weren't there? 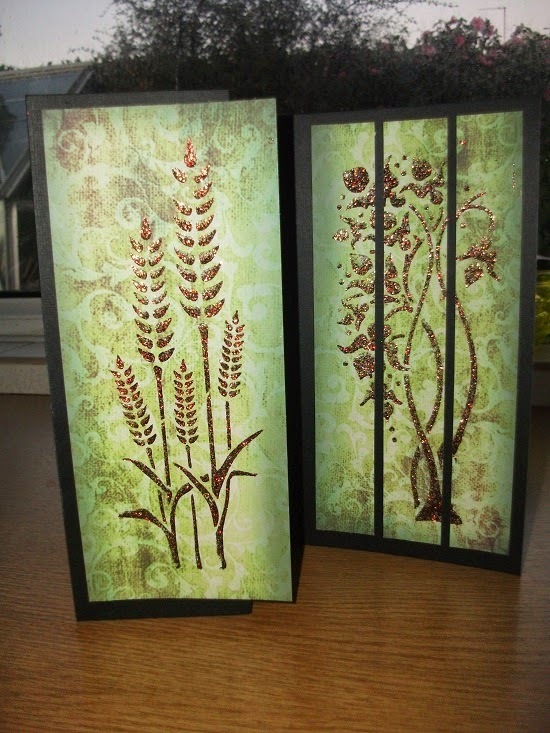 Today we have a tutorial from Christine, showing how to create a Triptych Card. 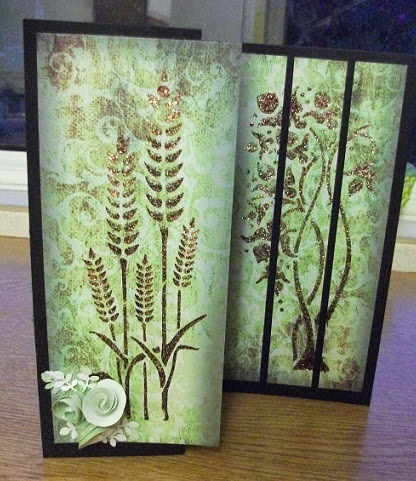 Using Meadow Vintage Panel Card stencil both the Orchid Trio and Wheat Stencil with Sparkle Medium Bright Copper and Chartreuse. Fold an A4 piece of card stock in half and back in half again on the front to form a panel. 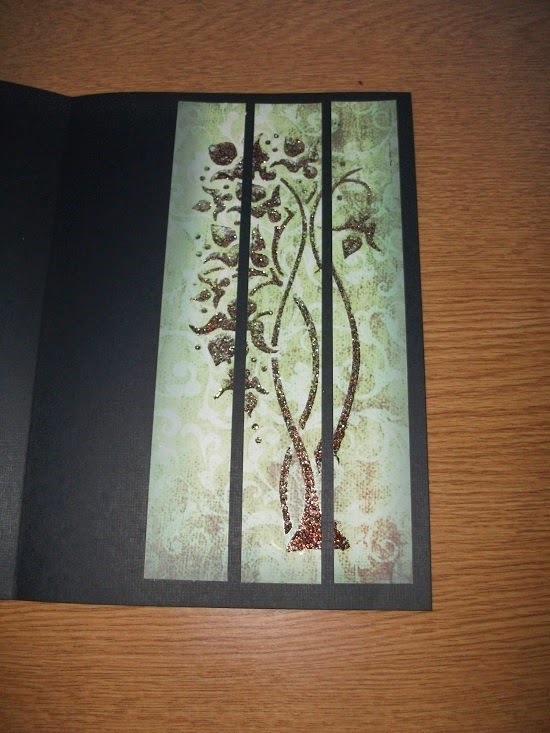 Cut the Orchid Trio card into 3 equal sections and stick them to the right inside of the card. 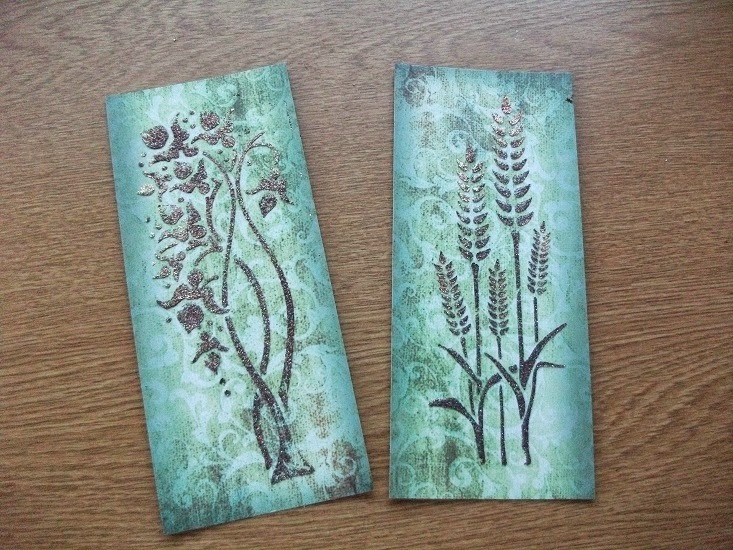 Stick the Wheat Panel onto the front section of the card. 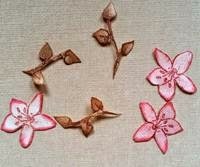 Make a few flowers by cutting a circle out of paper. 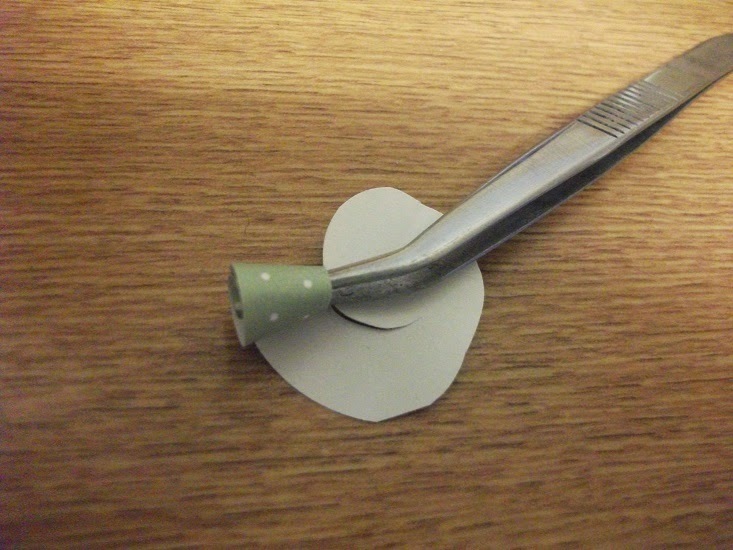 Cut this into a spiral and wind round from the outside in to form a flower. 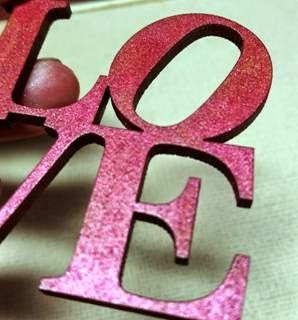 Stick down with PVA glue. 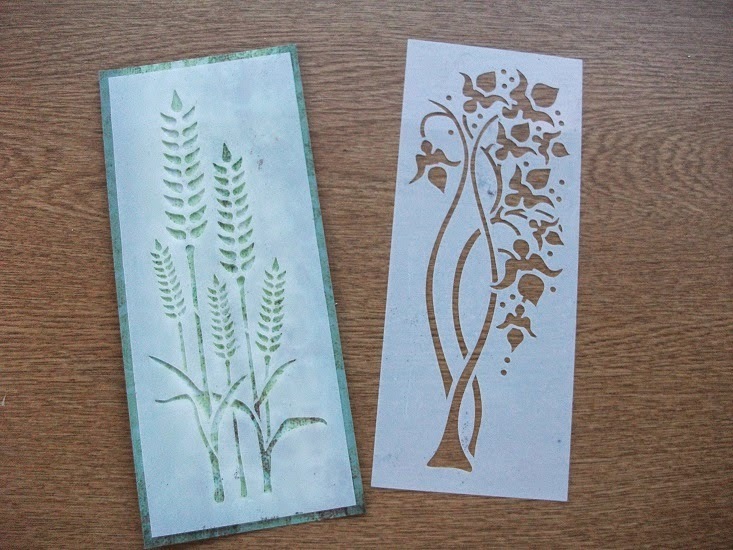 Make 3 flowers and punch out some leaves using a leaf punch. Stick these to the card on the left. Hey presto your card is finished. 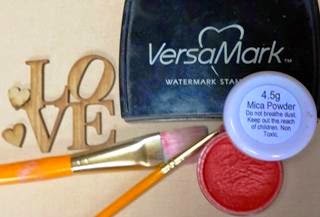 With Valentine's day not too far away we have a beautiful tutorial from Erin. 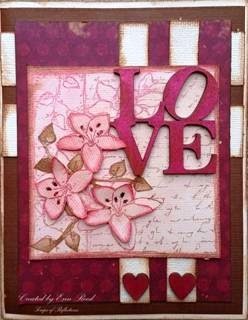 She made this beautiful card for her husband. Start off with the large square stamp with the flowers and writing. 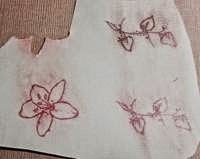 Using red and brown powders seen below and inking the stamp with VersaMark stamp the image on cream card stock and used red on the flowers section of the stamp and brown not the script using a brush to apply the powder to the image. Cut out the image. Stamp the flowers and vines the same as the large image - vines in brown and flowers in red powder. 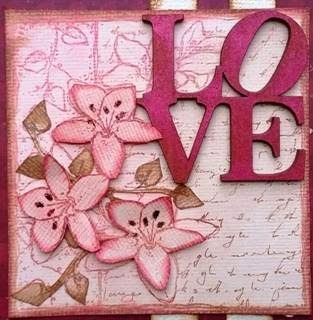 Fussy cut these items out and place them on the card as seen and add a little bit of detail sparkle in a dark red to the flower's centres. 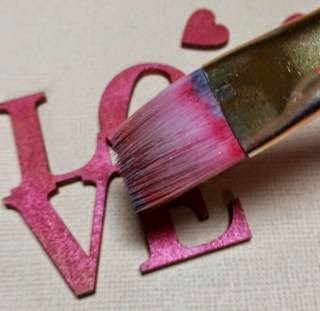 Using the same application as the stamps, press the wood into the VersaMark ink and apply the powder with a brush, this time in red for all the wood. 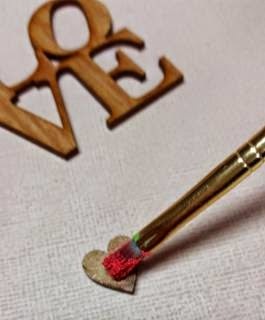 Use a small brush to first apply the powder to the sticky wood to coat it. 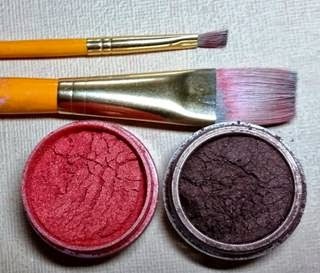 Use a larger brush to brush away the extra powder. The shine on these is beautiful! !